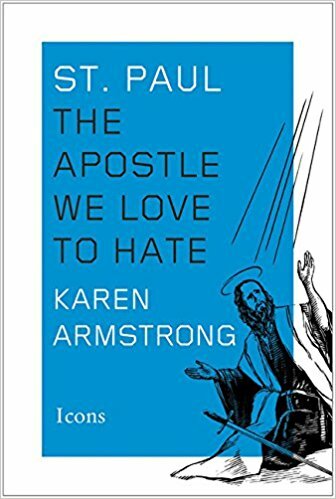 Last Thanksgiving a friend got me a book called St. Paul: the Apostle We Love to Hate by historian Karen Armstrong. On December 30th I emailed a response, which is pasted below, typos and all (and pictures added), as an “epistolary” review of the book. Hope your Christmas was fun. On the plane-ride to Italy I finished Karen Armstrong’s St. Paul. It was an enjoyable read with many insightful perspectives. I found it a convincing and informative biography with relatively little to quibble with. I’ll give a brief synopsis of my reaction to it, so you can have some Cliff Notes if you don’t have time to read it yourself…better call them Klug Notes! 1. I enjoyed, in fact loved, her characterization of the “Jesus Movement,” as inseparable from the political context in which it was birthed. She cites John the Baptist and Jesus himself in the opening chapter, describing their vision as one in which people were called to shoulder the burden of the economically oppressed, to give and receive freely, as Luke describes the believers in Acts having “all things in common.” This in contradistinction to the Roman empire which taxed laborers at extreme rates, and locked them up if they could not shoulder the burden–up to 66% of yield, she says. She quotes one historian who says that the common person under Roman patronage had two daily concerns, “shall I eat today?” and “shall I fall ill and be unable to pay my taxes?” (Think of the significance of Christ’s healing in this context!) This in conjunction with the use of crucifixion to scare subjugated peoples into obedience meant that the political system, despite it’s pretense as ushering a Pax Romana, was systematically cruel and unjust. 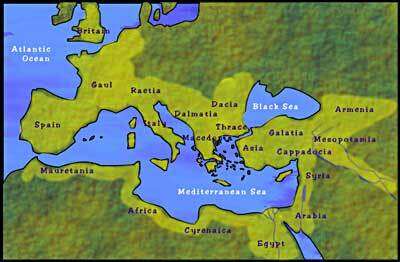 Meanwhile, the elite in Judea, she says, were in cahoots with Rome, making matters worse. Before reading this book I remember reflecting on how Christ said, “come unto me all you who labor and are heavy laden, and I will give you rest”–how it cannot have been originally understood otherwise than as addressing peoples’ economic plight. And the beatitudes…blessed are the poor for they shall inherit, etc….he foretells a world order in which political injustice is abolished. This is what the prophets in the bible have always cared about. It’s a refreshing thought, especially when many in the church have made the essence of biblical tradition into a “love letter from God,” and so on. 2. She says the consensus among historians today is that Paul did not actually write a number of the letters attributed to him in the NT, including Colossians, Ephesians, 2 Thess., 1 & 2 Tim, Titus. I’m skeptical about this…I was curious and double-checked the salutations in some of these. In 2 Thess. he signs “I Paul, sign this with my own hand as I sign all my letters…” but then KA says “these were not forgeries in our sense.” Here I’ll quibble. Anyone who writes in the name of an admired sage and then signs that way is committing a forgery. I would have liked a footnote with some explanation on this point…but it was convenient to her argument that 1 & 2 Tim should not be Paul’s. Those are letter that have some of the most offensive talk about women being subject to men, etc. The biography is something of a rehabilitation of Paul…people hate him bc, for example, he is blamed for the long tradition of misogyny in the church, for condoning slavery, unconditional obedience to the government. By eliminating the letters to Timothy, KA’s job of rehabilitation is easier. But then she has to deal w I Corinthians. 3. She argues that the rule against women speaking in the assembly in 1 Cor. was probably an add-on, not by Paul himself. She argues the same for one of his exhortations to obey the ruling authorities. For me, this is possible but seems like a stretch. It reminds me of those who deny Thomas Jefferson’s involvement w Sally Hemmings…it doesn’t fit their conception of who this great man is supposed to be. They don’t want to believe it, so they go to whatever lengths necessary to come up with a reason they don’t have to believe in it. It seems like KA may be doing something similar with Paul. Indeed, I’d much rather Paul be innocent of those things, but it looks to me like agnosticism is the best stance available. KA argues that the misogynist passage is at odds with Paul’s statement in Galatians, “no more Jew nor Greek, slave or free, male female, but all are one in Christ…” that it would contradict his egalitarian ideals. I answer: indeed…people contradict themselves. My assessment of Paul, before reading this, was that he was extraordinarily progressive in many important respects (Gentiles don’t have to become circumcised, mutual racism between Jews and Gentiles should be transcended, pride in “works” of religious law is useless), but that he couldn’t let go of *all* that he had been raised to believe. And how can we expect so much of him? It’s hard to turn your back on *that* much of what you’ve been taught. 4. 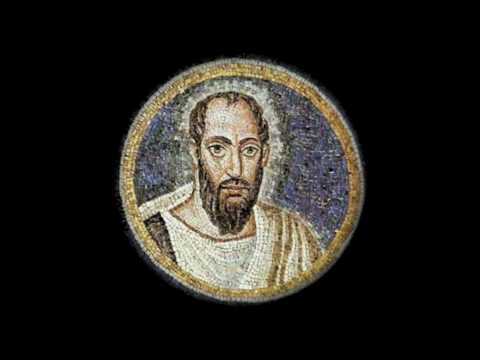 KA argues against the idea that Paul was authoritarian. 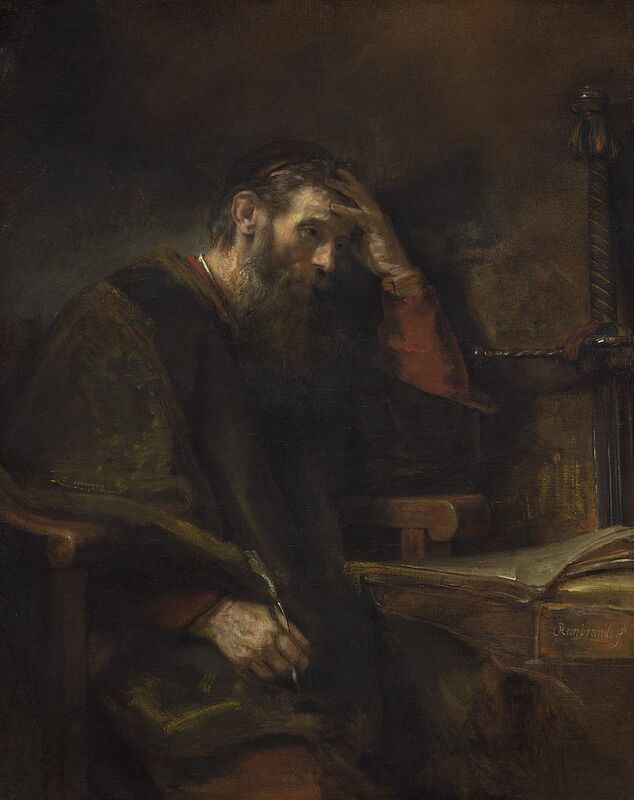 One of my personal problems with Paul as a teenager was Romans 9, where his response to the injustice of double predestination essentially amounts to “because God says so.” That, and other passages in the NT epistles, troubled me deeply, and I was ready to give up the faith (only the Gospels stayed my hand). In any case, KA doesn’t mention this Romans 9 bit, but for me it is at variance with her portrait of Paul as a de-centralist egalitarian. 5. Among the many eye-widening points she makes in the book was her comment that the specific language used to describe the Caesars in the first century was the same as that which the early Christians used to describe Christ–“savior,” “son of God,” “visible image of God.” This puts into perspective how early Christians viewed Jesus, and (I believe) how Jesus viewed himself–he is the true ruler of the world. Rulers at this time were considered divine. She says that back then the gulf between human and divine was not a big deal–gods became men and men became gods, in myth and legend. I recall in Acts someone from a crowd calls out when Herod Antipas is speaking, “it is the voice of a god, and not of a man!” This is one of several examples that put into historical context the language of scripture. It also reinforces the idea that the early Jesus followers were indeed concerned political rulership, as was the entire history of Israel in the OT. 7. Paul’s story ends with imprisonment and unknown cause of death, and the delay of the hoped-for Parousia (second coming). KA wonders whether he died in despair. For me, his silent and uneventful passing underscores the idea that, while we hope for political salvation–world peace basically–in this world, the ultimate destination is after this life. Even if Parousia, and the concomitant deposition of unjust power, doesn’t happen in this life, the example of a self-emptying leader such as Paul does much to encourage others after him to not despair, but to, like he said, “press forward toward the mark” and “run the race set for me” so as to win. I’ll stop here. Thanks again for sending the book over! Hoping you’re well and that the New Year brings great things! Michael Talbot, The Holographic Universe: The Revolutionary Theory of Reality  (New York: Harper Perennial, 2011). First, when I first read online somewhere that the universe may be a cosmic hologram in motion, the idea appealed to my feeling that material reality is not the ultimate reality, that it is in fact only a reflection of something more fundamental, namely consciousness. 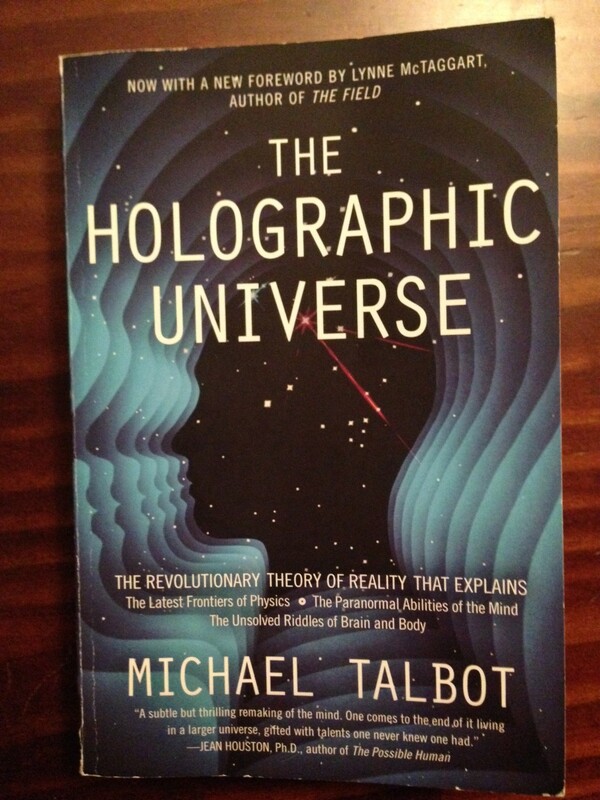 Talbot makes this very case in his well-researched investigation of the holographic principle. He begins by introducing neurophysiologist Karl Pribram, whose research suggests that the brain projects and decodes information in the same way that information is encoded in and projected through a holographic screen. The reader’s next acquaintance is physicist David Bohm, whose work in quantum physics (entailing topics including “action at a distance,” the EPR paradox, and plasmons) led him to conclude essentially that the universe as a whole is a holographic “movie” projection from a deeper, more highly organized level of reality. The significance of these ideas is that objective reality is a construct of the mind. The rest of the book is a compendium of the supernatural, the paranormal, and the freaky. Heed well Talbot’s invitation in the introduction to keep an open mind—without one you will not get very far. The unsettling part is that the stuff he cites has been documented. I frequently found myself googling names, peoples, and personages, unwilling to yield assent—sometimes even consideration—too quickly. “Why haven’t I heard about this?” I wondered. Sure enough, there are Wikipedia articles on topics like Mirin Dajo, who had himself impaled through his vital organs without suffering harm; the Convulsionnaires of Saint-Médard, who in fits of religious hysteria, witnesses confirm, pleaded to be tortured but reported relief rather than pain, and emerged without sign of injury; the Princeton Engineering Anomalies Research Lab (PEAR) in which effects of psychokinesis—the ability to move something basically using The Force; i.e., to imagine something intently and thereby influence the outcome of actual reality—was apparently experimentally measured; Emanuel Swedenborg, who reported detailed visions of the afterlife realm as well as having interacted with the spirit-beings that dwell there, including the deceased humans; and Therese Neumann—whose name I recalled from Schumacher—a Catholic mystic who according to many witnesses ate and drank nothing for thirty-five years except the daily Eucharist. Different readers will respond differently to such accounts—which, if true, are surely paradigm-shifting. Some may categorically reject them; some may seek to explain them in natural terms; others may not want to be bothered because it would take too much time and effort to rethink their worldview; and others may become obsessed with the supernatural and seek out such experiences like the Holy Grail. To me, the best response is frankly to accept the reality of the supernatural, and, even if skepticism remains toward this or that particular anecdote, allow the paradigm to be shifted away from materialism and philosophical realism toward an acknowledgment of the power of consciousness and of the higher Levels of Being. This can be done without becoming obsessed with the supernatural, naively accepting every fairy tale, or relinquishing your “I’m no fool” card. Talbot himself nudges the reader toward a pursuit of the supernatural. A refrain throughout the book is that the same transcendent potential exemplified by the mystics and visionaries he cites is “latent within all of us.” To some readers, religious orthodoxy may call for the censure of things mentioned in a positive light in this book: psychic readings, chakras, auras, hypnotism, shamanism, and belief in reincarnation. Whatever your views on such things may be, Talbot’s journalism logically contributes to the ultimate thesis of his work, which I happen to agree with: reality is the product of mind, or “spirit.” In the author’s terminology, the universe is “omnijective”—neither objective nor subjective, but both; a product of consciousness, but also quite real. The idea that all reality is the product of consciousness may seem esoteric and strange, but it is nourishment to the bones of one whose faith in higher things must (in principle) harmonize with a rational view of the universe. To illustrate: Christians believe in miracles and the existence of a spiritual realm supervening this physical one. If such beliefs are warranted, what is the mode of interaction between spirit and matter? How can mountains be moved, the dead raised? The answer is no longer shrouded in mystery if material reality by definition is subordinate to spiritual agency. Matter obeys whatever spirit—endowed with much greater power than we’re used to—tells it to do. For this curiosity to be explained strengthens the credibility of faith. Therefore, reading this book confirmed my sentiment that it is the final destiny of man and woman to transcend the limitations imposed by matter at the present level of existence, to ascend to higher Levels of Being, and ultimately to see the face of God. The empirical work of Pribram, Bohm and others is enough to encourage those who “desire a better country” beyond this world, and are committed to living this life with the attainment of that end in mind. Plato, Republic. Translated by Benjamin Jowett, Edited by Elizabeth Watson Scharffenberger (New York: Barnes and Noble Classics, 2004). There is too much in this long and truth-packed document for me to attempt to summarize or comment on in a brief space; but within the greatness, I found many striking parallels with the Bible. After reading through, I closed the book convinced that Plato was a Christian. Of course he predated Christ, but the essence of his teaching harmonizes beautifully with that of Christ. No wonder medieval Christian thinkers like Augustine and Aquinas deeply respected him. Among the striking parallels with the Bible are the following: Glaucon poses the question as to who is happier, the unjust man who is prosperous and celebrated as righteous, or the just man who is viewed as wicked, and then “scourged, racked, bound…and, at last, after suffering every kind of evil, impaled.” Years ago I read C.S. Lewis cite this passage as one of the most outstanding ‘pagan’ anticipations of the truth. Reading it for myself confirmed to me the idea that what I as a Christian call the Spirit of Prophecy is not limited to people who have a conscious knowledge of the Gospel. Equally striking, furthermore, was Plato’s quotation of Romans 8:28 in Book 10 (four centuries before Paul! ): “Even when [the just man] is in poverty or sickness, or any other seeming misfortune, all things will in the end work together for good to him in life and death…” Peppered throughout Plato’s Republic are many other images, ideas, and turns of phrase that recall various passages in scripture. 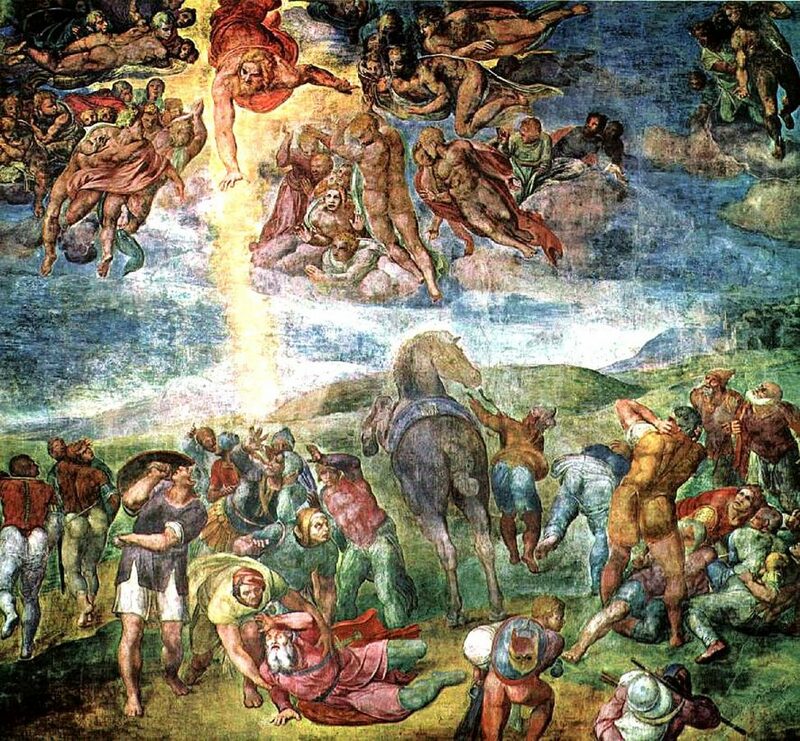 If there is a single Spirit of Truth which, as Paul preached to the Athenians in the first century, is not far from all men but quite near, it is no surprise that such spontaneous concord should be discovered. Overall, Socrates’ task is to answer Glaucon’s challenge to prove that the just person is truly happier than the unjust; this he does by sketching in detail the structure of human civilization, ultimately drawing parallels between the State and the individual, which is a microcosm of the former. Like the State, the individual has forces within that strive for mastery, but which must be ruled by wisdom and love for absolute truth. 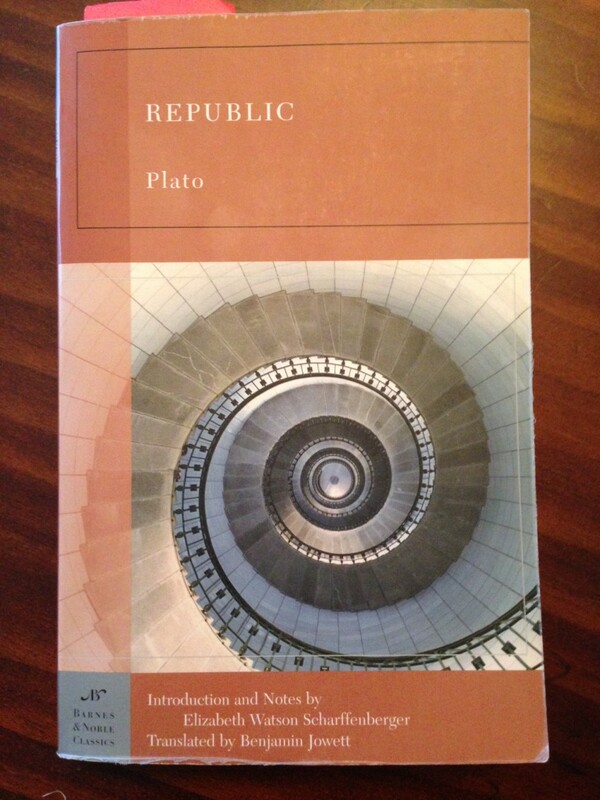 The dialogue becomes an occasion for Plato to propound his political vision, and to envisage the ideal State. Few works have been as influential throughout history. Glaucon’s challenge is only resolved in the end when Socrates appeals to the immortality of the soul. The idea that there is reward and/or punishment beyond the grave offers rational justification for preferring the life of a just man, even when it means misery and sore travail, to the life of the unjust man, even when it means adulation, merriment and delight in this life. Also paramount in this book, and of special interest to me as a composer, is Plato’s view on literature and music. Its purpose, he says, is to impart and reinforce the love of virtue within the citizens of the State, particularly the young in the context of education. 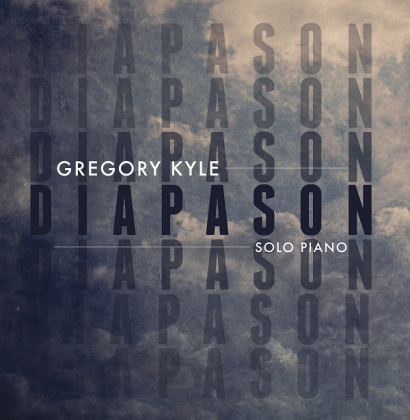 Music and poetry—Plato often singles out Homer—can be judged based on whether it tunes the strings of the soul either to courage and temperance or to pusillanimity and lust. Reading this reminded me of Beethoven, whose personal library included the Republic and whose music often embodies the virtues Plato praises in this work. The essence of Plato’s teaching, I believe, remains relevant today: goodness in art reflects goodness in humans, and both should be encouraged and celebrated heartily. © Dr. Gregory Kyle Klug. All rights reserved.